It’s International Woman’s Day, a great day when the world comes together to celebrate the achievements of women. It’s also a time for us all to think about the challenges women face on a daily basis. I don’t know if you heard, but last week we held a competition calling all Supermums. We wanted to give our truly awesome Osper mums the chance to blow their own trumpets and tell us all about their achievements. Well, your responses absolutely blew us away. Your stories were filled with heart ache, unconditional love and undeniable motivation and inspiration. We were so taken aback by how amazing you all are that we couldn’t help but share a few of our favourites! Check them out below, and keep your eyes peeled for more inspiring posts this week! I’m a single mum to two teenage kids … Since our lives changed around 6 years ago, I made the decision that my two kids needed to be included more in decision making processes, and understanding the consequences of decisions made! I made them my support network and this is where our teamwork really began. At the age of 46 with a dwindling career I made the decision to go back to college … We worked out the time constraints on us as a family and obviously the financial implications, but both kids encouraged me to do it and sat down with me to help me brush up on my maths skills that I needed to get a place on the course. It was at this point I realised what an amazing job I had done, solely raising two remarkably thoughtful, mature, supportive, selfless teenagers … How proud of me was I for creating these 2 people with the most beautiful souls. Yes, I give myself credit because I have done this single handedly and I have raised incredible children. I grew up playing sport and realised that my daughter wasn’t getting the opportunities that I had and wasn’t playing any regular weekend sport. She really wanted to play girls only football. There were 52 football clubs in Tower Hamlets but none of them offered football for teenage girls. 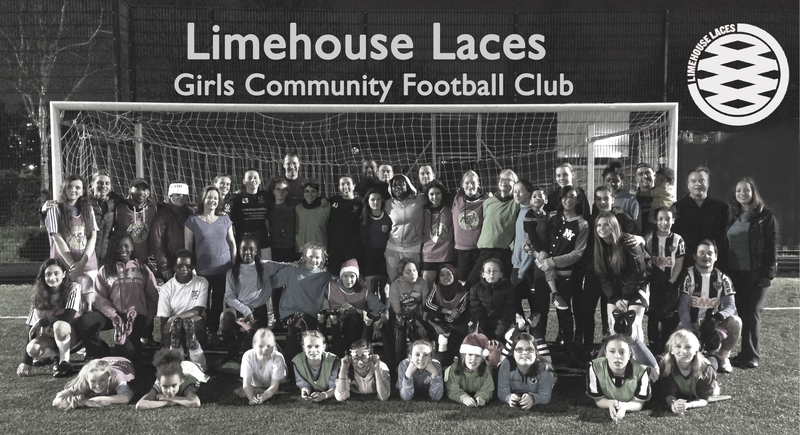 I grumbled for a bit and then decided that I should do something about it so even though I’d never played a competitive game of football in my life, I started a girls only football club. Less than 3 years later we have almost 100 local girls playing regular football with us.